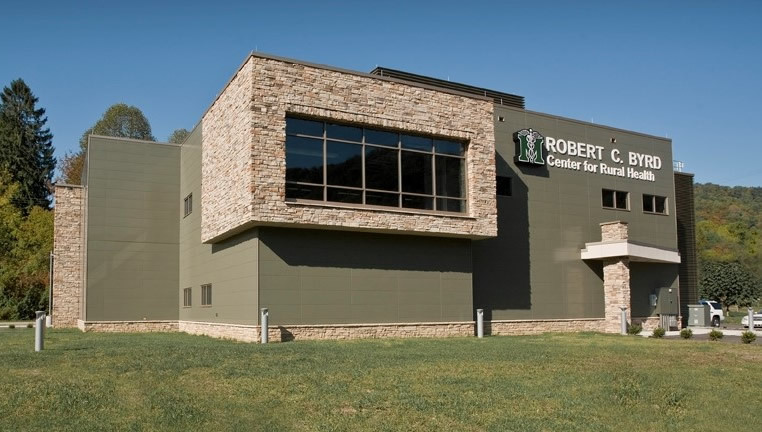 Outreach endeavors at the Robert C. Byrd Center for Rural Health are designed to encourage the development of new and innovative health care delivery systems in rural communities that lack essential health care services. Through partnerships with schools, churches, medical service providers, local universities, private practitioners and the like, the Center has managed to create opportunities for rural providers to get required CME, bring health check-ups to children and provide prenatal care to women in remote areas. Despite programs set forth to address the needs of groups such as the homeless and unemployed, many still suffer from chronic and debilitating illnesses that go untreated. Our mission at MMO is to extend our clinical resources as medical students and physicians and provide comprehensive care to these people. In September of 2008, Marshall University was awarded a Health Resources and Services Administration (HRSA) facilities grant specifically for the development of a Rural Health and Education Center in southern West Virginia. The primary purpose of the project is to provide quality family medical care. The delivery of health care in West Virginia is hampered by sparse population, transportation barriers and unevenly distributed health care providers. The secondary purpose is to collaborate with the Joan C. Edwards School of Medicine’s Family Practice, Internal Medicine, and Pediatrics residency programs, to encourage recruitment to an area of the State that continues to struggle in recruiting primary care physicians to meet the needs of an aging population. Marshall University began work with a team of interested community members in Logan County to plan for a health center in Chapmanville in 2008. Coalfield Health Center officially began operations in July 2009 in temporary space next to Dignity Hospice. Coalfield Health Center is now located in a new facility on Airport Road in Chapmanville off Route 119. It is governed by a community Board of Directors and staffed primarily by employees from Chapmanville and the surrounding area. Coalfield Health Center provides quality primary medical care to a medically underserved community in a state-of-the-art facility which will allows enhanced opportunities for patient educational programs and serve as an outreach site for specialty services. Coalfield Health Center also provides the infrastructure to extend and expand the Joan C. Edwards School of Medicine’s fully accredited primary care training programs to this center. Nursing students, dental hygiene students, pre-med students and residents will have the opportunity to work with the center’s providers, and interact with community members. Marshall University Joan C. Edwards School of Medicine medical students will also have opportunities to rotate through the Center for outpatient training, introducing them to the respective area for possible residency training and subsequent practice opportunities.